Agora Reflex Fleece Jacket. 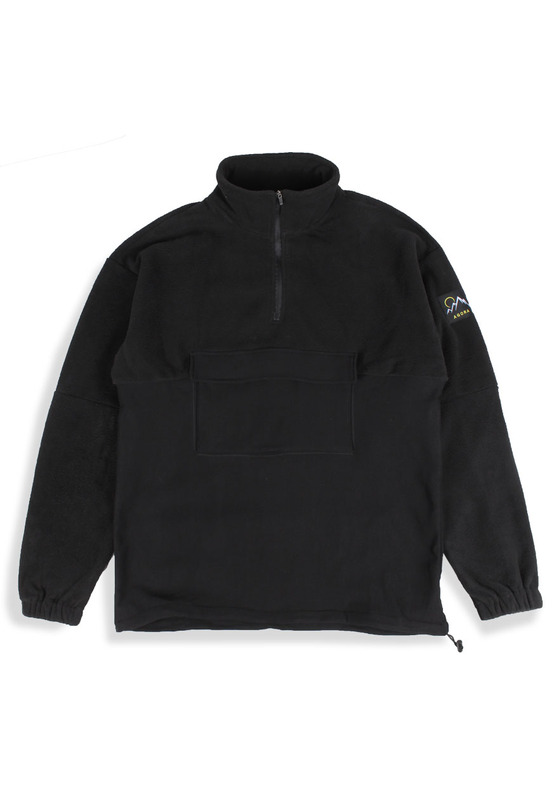 Generously sized pullover jacket with invisible quarter zip, velcro front pocket and adjustible toggle waist. Medium-weight fleece upper torso. Lightly stretchy poly lower.